No HOA and deed restrictions! Bring your trailers and boats! There is plenty of space on this almost half of an acre property for a pool, shed or workshop. Driving up you will notice the beautiful landscaping and green grass. Riviere Road has been freshly paved and is centrally located next to the library, parks, prime schools and only minutes away from Honeymoon Island, shopping and restaurants. Walk inside this charming home and you are greeted by NEW fresh paint, open floor plan with vaulted ceilings and a view of the fenced in tropical back yard oasis. The Large screened in patio and wood deck is a beautiful place to relax and enjoy a quiet evening or enjoy friends and family coming over. The master bedroom suite is split from the other 2 bedrooms granting more privacy and access to the patio. 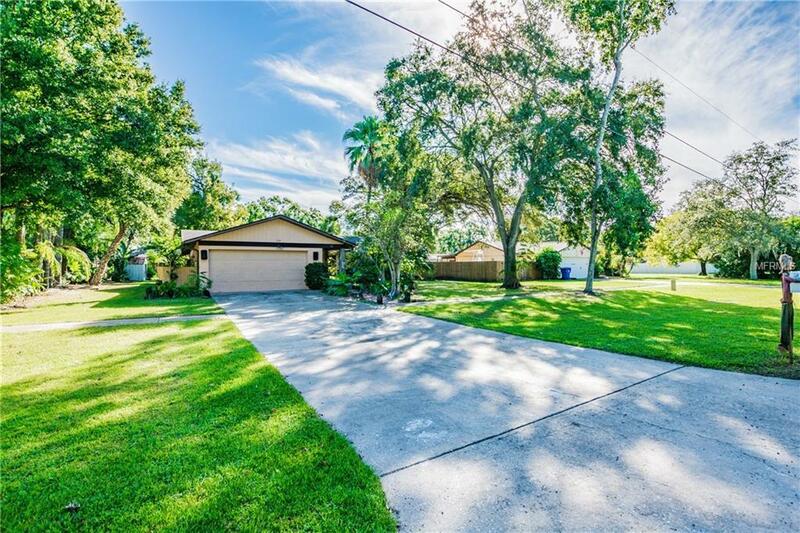 This Palm Harbor beauty is ready for you! AC and water heater are newly installed.